Attorney General William Barr testified recently before the House Appropriations Committee’s Commerce, Justice, Science, and Related Agencies Subcommittee. The purpose of the hearing was to discuss the Department of Justice budgetary request, but he was asked question after question after question about Special Counsel Robert Mueller’s report on the Russian collusion investigation, and the conclusions from that report Barr released. For doing his job as AG, Barr suddenly became the new Democrat target, as his conclusions from the Mueller report failed to satisfy the intense hunger of Democrats for evidence of impropriety, even criminality, by then-candidate Donald Trump and his team. 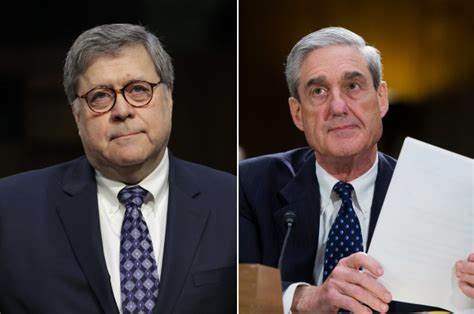 The sudden, virtually automatic and universal distrust of Barr by Congressional Democrats and the MSM for doing his duty in accepting the Mueller report and releasing the conclusions is more than just curious. Years ago, a Democrat-controlled Senate confirmed Barr by voice vote for attorney general under President George H.W. Bush. He was highly praised, both by Republicans and Democrats, the Senate Judiciary Committee voted unanimously to recommend his confirmation, and then-Senate Judiciary Chairman, former Vice President, and now potential presidential candidate Joe Biden, and Democrat Sen. Patrick Leahy both enthusiastically endorsed him for the position. But now that political considerations have replaced obligations to duty, that support has vanished in a flash of desperate partisanship. This same response occurred when Robert Mueller was named special counsel. Praise came abundantly from both sides of the political aisle, and Democrats could hardly contain their eagerness at the expected results of the investigation by this giant of a man, imagining a handcuffed Donald Trump being perp-walked out of the White House to the hoosegow along with Don, Jr., Eric, Ivanka, and yes, Melania and Barron, too. But that was not what happened, and suddenly Mueller’s reputation lay in shambles in the gutters of Pennsylvania Avenue. Now there are two once-widely respected people associated with the Department of Justice who, by doing their jobs, lost the confidence and respect of Congressional Democrats. And how would she know whether he is cherry picking or not, since she complained about having no knowledge of what is in the report? Again, she makes assumptions without having seen the document, which might have contained conclusions. And she also didn’t know that Deputy AG Rod Rosenstein, to whom Mueller reported during the investigation, helped Barr produce the document that contained the findings. Barr also aroused the ire of Committee Democrats, and others, when he said he believed there was “spying” during the presidential campaign. By using the term “spying,” rather than their much-preferred and less-severe term, “surveillance,” he upset a lot of people. Spying by any other name, like “surveillance,” is still spying. Which term is the correct one for listening to (intercepting) private conversations, and other such activities: Spying, eavesdropping, or the Democrats’ preferred term, surveillance? Do you refer to your cousin as a relative, as family, or as kinfolk? Does it really matter? Isn’t this really just playing rhetorical games? Whatever term one carefully chooses for describing the deed, spying is spying. AG Barr said the difference between legal spying and illegal spying occurs when there is a legitimate predicate for the deed. If there is one, fine; the spying is legal. If not, the spying is a crime. After being questioned about believing spying occurred, Barr said that he wants to know whether the spying was done appropriately, or not, and plans to look into the matter to find if a suitable predicate existed to justify it. No doubt this has not eased the Democrats’ disgust over Barr’s findings, and likely has caused a spike on their nervous meter, as the possibility of subversive shenanigans in the Obama FBI, DOJ and elsewhere being exposed looms large. Nothing stands between the Dems and hypocrisy.